Out in the deep, darkness of interstellar spaces, the coldness is absolute. Dust and gas gathers slowly, too cold to move any quicker, leftover remnants from a violent explosion is the long forgotten past. The dust creates an interstellar cloud, the dark nebula, so laden with beauty if there were but any light to see it. Time and gravity are in control here, and if the cloud cools just…enough…the density within the core of the cloud reaches a tipping point, pushing the dust and gas into collapse. As the molecules are pushed closer and closer together by the unrelenting force of gravity, the density and the heat rises and a protostar is formed. The vast dust clouds are at first dark. As the protostars grow, they feed of the matter around them and become hotter and more stable. In a wink of a galactic eye, barely some few million years, thermonuclear fusion begins in the core and accretion of new material stops. Hydrogen, the most abundant element scattered through the stellar nursery, forms the body of the young star, and once burning begins, light is scattered by strong stellar winds out into the wider universe. As time passes, we find the cluster of young stars (once deep within the core of the gas cloud) scatter the remaining gases leaving only themselves. Time passes slowly and for countless millions of years the stars burn brightly – vast amounts of energy released as the hydrogen nuclei are fused into helium. However, mass is finite, and the supply of hydrogen eventually runs out as the star approaches the end of its life. Fusion continues, first with helium nuclei fusing together to make carbon, and carbon and helium create oxygen. If there is enough fuel, fusion will continue as the star grasps to extend its lifetime, moving though neon, magnesium and silicon in a matter of weeks. Eventually as the final bell tolls, the silicon nuclei in the core fuse into iron – the most stable element known to us – and cannot be fused further without putting more energy in (thereby dropping the temperature), so finally depleting the fuel in the core, in under a day. In the massive stars where this happens, the sudden cessation of energy release causes the core to collapse suddenly and violently, the outer layers imploding onto the inert iron core with so much force they explode as a supernova, burning brighter than the entire galaxy for the briefest of moments, before silencing. As the remnants of the core collapse at last into a neutron star or further into a point of infinite density, the rest of the matter is ejected back out into space. Slowly but surely this matter starts to clump together in the dark and so the cycle begins again. This entry was posted in 04.3 Materials and process and tagged cosmology, iron, star formation on 20 June,2015 by antalbot. This entry was posted in 02 Calligraphy, 06 Poetry and tagged calligraphy, loneliness on 18 June,2015 by antalbot. 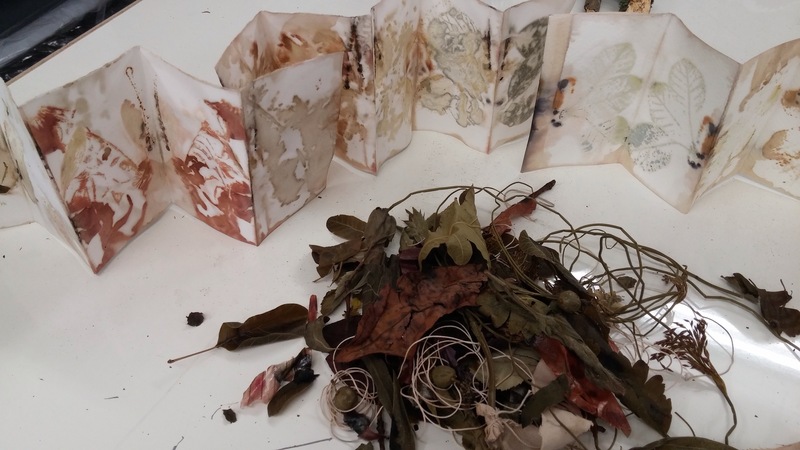 With my project moving away from object-ness and more into the realms of knowledge and language, Maiko kindly arranged for me to have a tutorial with Susan, the director for Camberwell’s Book Arts MA course. It was a fascinating conversation and a different perspective on what I have been doing. We had a good chat about my still-too-large scope and where I am stuck, and my dichotomy between an interest in place / nature and place / language. Some good references and places to visit added to the to-do-list. I showed Susan some of my latest experiments, and she was very interested in the Starfield piece – the only one I have so far I felt has that something. She noted the moving away from the stitched quilt into something more communicative of my concepts. We discussed that after Starfield, I went down the road of experimenting with natural dyeing ‘of place’; Susan commented that this has been done a thousand times over, and isn’t it a little safe? (Yes). Have my new experiments now lost the magic of that first piece? (Yes). We discussed the impact the written mathematical language has as an integral part of the piece, part of the materiality of the whole object. She said not to be frightened of tapping into my physics knowledge, this is the uniqueness of it – looking at place at a whole different scale – the cosmological place which humanity inhabits. Also a clear message that unit 1 is there to take risks – so go for it! 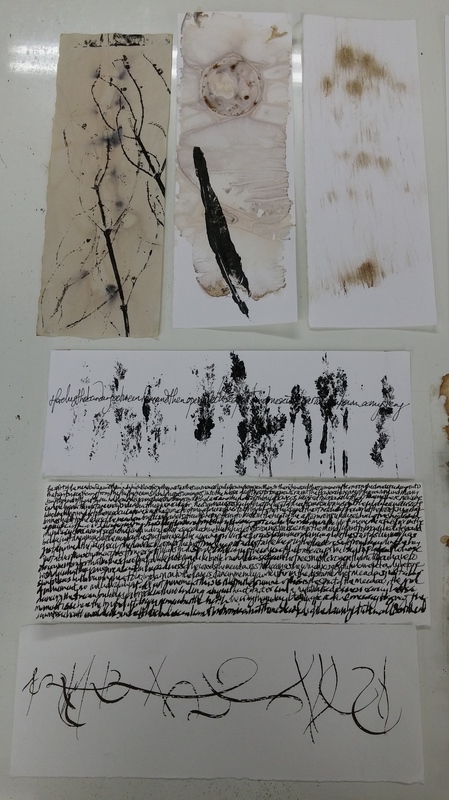 – materiality can be expressed in many forms, including the texture of the page and the quality of the drawn line, it’s not the preserve of 3D objects! – I described my current practice as drawing, so far I quite like that as a description. Do some more reading to see how contemporary drawing is seen by the wider art world. – stop being so afraid of venturing down the road into mathematical / scientific concepts. So having decided it was time to re-evaluate what experiments to do next anyway (see last post), I think it is about time to start taking some bigger risks and steps forward. Think bigger. I am making art to engage with more people than just me. I can now answer Maiko that I am not interested in exploring ideas around defining my identity though place – I don’t just want to look at difference, I want to look at shared experiences. I could look at place its most grandest incarnation – how we make sense of our place in the vast unknowable depths of the universe? Moving past the awe and mystery into tangible, physical understanding. This is looming on the horizon and I have decided my current working essay concept is now out-of-date, firmly supporting research on place purely through experiments with nature materials. TIME TO MOVE ON! I’ve spent this week putting together some new ideas of what research could help me answer my unanswered questions…. 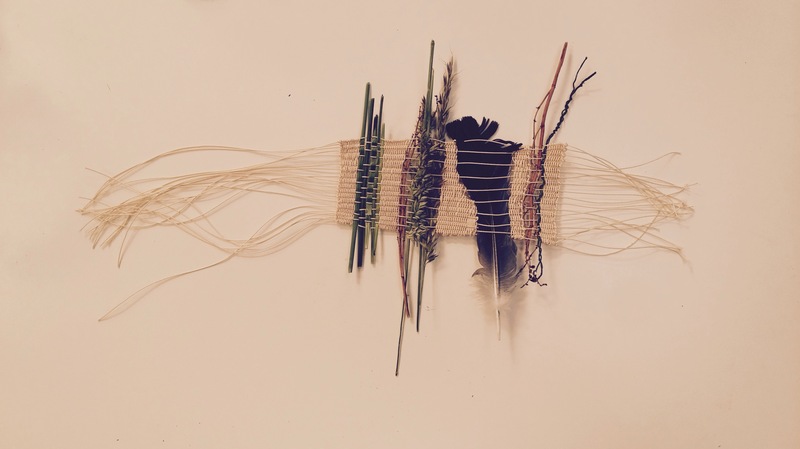 ….how can an artwork embody both personal experience and collective understanding? ….what works using ideas from mathematics / physics has actually been successful both visually and conceptually? I think it is time to return to the original ideas behind Starfield and take them in a different direction. This entry was posted in 03.3 MA Project proposal, 03.4 Tutorials and seminars and tagged lightbulb moment on 16 June,2015 by antalbot.